Bruxism, the medical term for the grinding of your teeth, is the forced movement of the chewing surfaces of the lower teeth over the chewing surfaces of the upper teeth, typically in a sideways, back-and-forth movement. Clenching is a habit that may also present with bruxism. Clenching is when the teeth are strictly clamped together, without any movement- a constant force. Bruxers are people who either grind or clench their teeth. These habits may occur during waking hours, but most ofter occur at night. Why is Bruxism a Problem? Over time the complications of teeth grinding may cause permanent damage to the teeth and uncomfortable oral and facial pain. During sleep the force of bruxing is much greater than normal waking biting pressure. Nighttime bruxing can yield approximately 250 pounds of force per square inch of pressure, and last for up to 40 minutes per hour of sleep. It is unknown what the cause or causes of grinding and clenching may be. Most often it is directly related to periods of stress in our lives. One of the ways our bodies cope with stress can be to clench or grind our teeth. This often occurs at night. Another cause may be consuming stimulants (caffeine and alcohol) prior to bed and some patients may also find grinding or clenching an unwelcome side effect to some psychiatric medications. Some patients with poor alignment of their teeth may also find themselves bruxing. 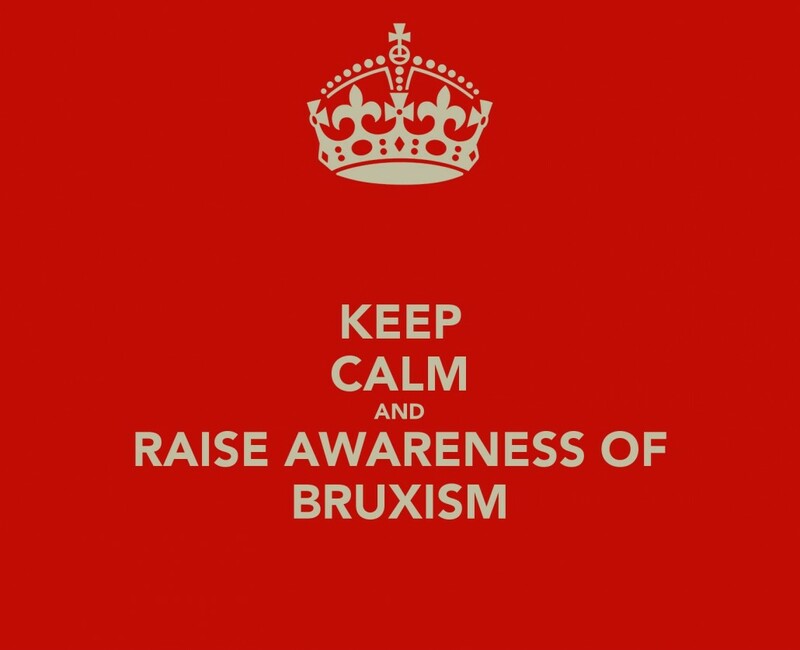 Who is Affected by Bruxism? Anyone can be affected by bruxism, but during the day, more women find that they clench their teeth than men do. The results are that an equal number or men and women brux at night. Up to 20% of adults will grind or clench while awake. Bruxism in children is extremely common, with no gender difference. Jaw muscles that are tight or painful, especially in the morning. Rhythmic contractions of the jaw muscles. Teeth grinding, which may be loud enough to annoy a sleeping partner. How Long Does Bruxism Last? As mentioned earlier, bruxism in children is quite common between the ages of 3 and 10. By the early teenage years (13-14), more than half will stop bruxing. For teens and adults, it is unknown how long it will last. Usually it depends on the cause, such as school, stresses at work or medications. If grinding or clenching is dental related, visiting an orthodontist to change the alignment of the teeth will often help. If it is related to stress or illness, it may be harder to overcome, as these problems are harder to treat. There is no cure for bruxism, instead the condition is managed. By making an appointment to discuss the problem, we can often come to a conclusion as to why you are bruxing. We will talk about any tenderness you are having in your jaw, along with any specific teeth or gum problems. A custom fitted nightguard most often helps with the pain and discomfort generated from bruxing. Stress Related Bruxism – Professional counseling, psychotherapy, biofeedback exercises or other strategies provided by a psychologist or psychotherapist to help you relax may provide more long-lasting relief. Muscle relaxants or botulism toxin may temporarily ease spasm in clenched and overworked jaw muscles when more conservative treatments fail. Dental Related Bruxism – Occlusal therapy or orthodontics may provide relief related to bruxism due to poorly aligned teeth. Brain Injury or Neuromuscular Illness – Cooperation between our office and your family physician may result in combined therapy for these more complicated causes. Medication Related Bruxism – Your physician may be able to switch you to another medication to counteract your bruxism.